Available April – October – see below for 2019 weekend availability. Busbridge Lakes is a truly unique and exclusive family run marquee venue in Surrey, set in the grounds of a 2A Heritage garden with 3 lakes and home to one of the largest collections of water birds in the country, all hidden in its own private valley just 40 miles from central London. You can picture your wedding marquee in the stunning location of the Canal Lake venue on the main lawn overlooking the lake’s stone bridge with a vista of the Doric Temple in the distance, all to a backdrop of the old coach house with its elegant clock tower surrounded by magnificent old specimen trees. All sounds pretty idyllic right? As your guests marvel at the views, home to one of the largest collections of water birds in the country, with cranes and peafowl gracing the lawns, imagine wandering off to take advantage of some truly unique photo locations including the C18 Hermit’s cave, the Doric Temple and the rustic stone bridge spanning the lake. The family understand each wedding is different, with couples wanting to use their experiences, vision and individuality to create a unique celebration. 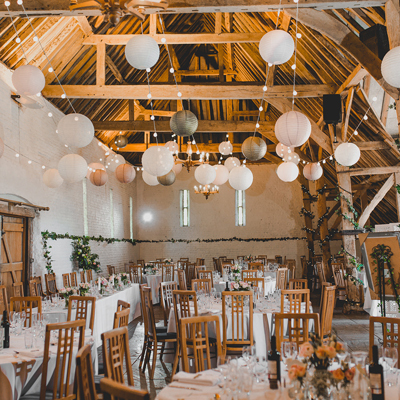 They offer the flexibility of an open canvas venue with the added support of the family, the on-site team and have a variety of carefully vetted wedding suppliers for you to choose from – all in a non-rushed environment. Busbridge Lakes only holds a few weddings receptions each year to ensure your day is not one of many. The venue is available between April – October. To arrange a visit please contact the venue. Busbridge is not just beautiful, it is magical. Thank you Bill and all your incredibly talented team for looking after us so well on our Wedding day - not just that day, but in the run up to and after the day itself - your attentiveness and care was over and beyond. We really cannot thank you enough for allowing us to create some really precious memories at the Lakes. Thank you is not enough! We recently got married and had our wedding reception at Busbridge Lakes, we couldn't have been happier with the preparation and effort put in from Bill and his team at Busbridge. 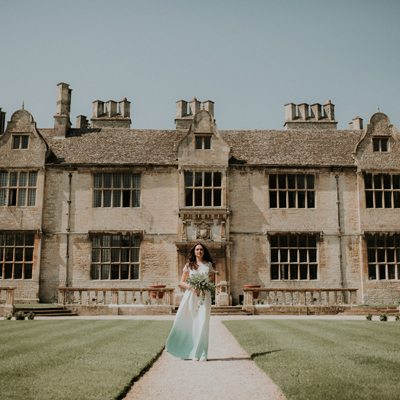 The grounds are beautiful and on the day of the wedding it looked even more stunning, every one of our guests commented on the venue and were taken aback with the birds, flowers and beautiful lakes. A truly unique venue whilst still being a blank canvas, so you're able to put your own mark on your wedding day which is so special and was important to us. Thank you for making our dream wedding a reality. A wonderful day! Thank you for the use of your beautiful venue for our wedding. Everyone was commenting on the 'wow factor' of the place and how beautiful the lakes, ceremony lawn and birds were! Thanks also for all you and Nicky did on the day to keep things running smoothly. It was the perfect place and we really did have a perfect day. We had an amazing time and we cannot thank you enough for helping to make the wedding as magical as it was. Thank you very much for sharing your beautiful family home and for being on top of all the little details. Everyone commented on the beauty of the garden and lake. You were so kind and helpful throughout the process of wedding planning and we're ever so grateful. Busbridge will forever hold a special place in our hearts and we cannot wait to come back and visit in the future on your open days. Busbridge Lakes was the perfect setting for our wedding. The coach house, stunning lakes and wildlife provided the most spectacular backdrop... 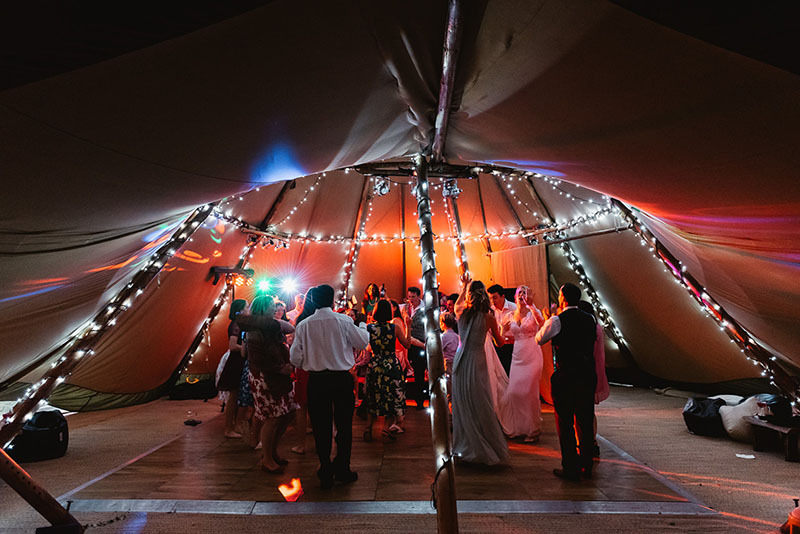 I would thoroughly recommend this venue for anyone considering a marquee wedding, as there are endless photo opportunities and extensive grounds for guests to enjoy at their leisure.